The Indian education system has long been criticized for its promotion of rote learning, outdated curriculum, lack of adequate infrastructure, as well as a skewed student-teacher ratio. Another more pressing issue remains the average Indian classroom’s inability to meet the individual learning needs of the students. In the rapidly digitalizing world of today, teaching with “chalk and talk” is passé. 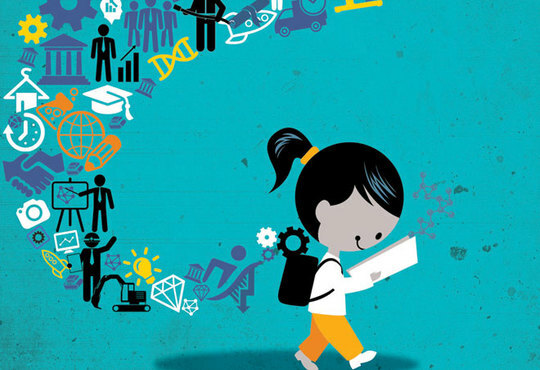 The Indian education sector too, has hopped on the digitalization bandwagon. Readily adopting digital teaching solutions to engage with the Gen-Z students through iPads and smart classes, schools are also accepting the change, and are thus slowly moving out of the conventional methods of education. 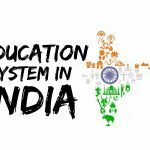 While education technology remains a nascent concept in India as compared to the conventional modes of education, it has been making great progress in recent years. The inception, however was much less hyped as it is right now. Ever since the foundation to Educomp Solutions was laid by Shantanu Prakash back in 1994, the industry has witnessed an onslaught of new technologies and startups looking to rehash the industry. Shantanu Prakash’s venture, a first of its kind, garnered widespread fame due to ‘SmartClass’, a digital initiative aimed at improving K-12 education. The company has 27 offices worldwide, employs 16,000 people across India, and reaches out to over 6.7 million students across 14,561 private schools and over 5.9 million students across 10,771 government schools. The company is also credited with ushering in digital revolution in the classrooms of India with its SmartClass program. Talking about the potential of Educomp in education technology (edtech) sector, company founder Shantanu Prakash stated during his interview with The Economic Times, “Educomp Solutions is the pioneer and the largest player in the organized education services with presence across the entire education lifecycle. We have presence in each of the segments such as multimedia content, ICT, pre-school, K12 School, professional development, higher education, online, and supplemental”. He further added, “The addressable market for Smartclass is more than 2 lakh private schools in India. Of these, less than 10 per cent are currently digitized. This apart, about 14 crore children do not attend schools. The need for digital content like SmartClass in schools is very high in this country because our increasing young population desperately needs access to quality education”. The seeds sown by Shantanu Prakash and Educomp have now grown into a tree in full bloom. The number of edtech startups keeps growing every year, disrupting the education sector for good, one step at a time. The growth of these startups, and the investments they attract vouch for their ability to make a significant difference on the future of our world. A senior blogger in Blog.thvoiceofnation, write about latest news, healthcare industries, businessman, industralists, fashion blogs, bollywood latest news, economy and politics. Online education has changed the existing dynamics of the Indian education sector in more ways than imagined. Smart classes are really good teaching tools but it depends on the vendor who you are taking it from. I must recommend for primary interactive education, Educomp Solutions is good.